Walter Rodney, one of the most important Guyanese intellectual and political figures of the 20th Century, was born on March 23, 1942 in Georgetown, Guyana. Because of his working-class background, the period in which he lived, and his parents’ political awareness, Rodney was introduced to issues of race, class, and empire at an early age. He lived in a West Indian society in transition and experienced violence, racism, decolonization, and the rise of local elites in this former European colony who propagated the old colonial systems and structures. A brilliant student, Rodney attended universities in the West Indies before earning his PhD at the School of Oriental and African Studies in London, UK in 1966. After graduation, Rodney taught in a variety of locations, including Africa, before returning to the Caribbean. He expressed sympathy for the working class people of the region and was sharply critical of the elites for mimicking colonial systems and traditions. He became increasingly drawn to Marxist, Pan-African, Rastafarianism, and Black Power movements. Rodney believed that that all people of the African Diaspora, wherever they may be across the globe, had a special connection and formed a special cultural identity. Rodney’s Marxism, however, was independent of the Soviets and Chinese, which he found dogmatic and counterproductive for the Third World. He was an avid scholar of comparative revolutions and wrote about the working class in Guyana. Rodney’s most dramatic and long-lasting contribution to scholarship was as a historian of Africa during his stay in Tanzania. His first work The Groundings With My Brothers was published in 1969 and expressed sympathy with working-class people in Jamaica. He also published The History of the Upper Guinea Coast in 1970 as the expansion of his PhD research. Rodney is significant in establishing a new focus on African history and underscoring the need for black scholars to do history, to take back their past in order to make their own future. His most important work, How Europe Underdeveloped Africa, published in 1972, was a brutal critique of long-standing and persistent exploitation of Africa by Western powers. How Europe Underdeveloped Africa remains a powerful, popular, and controversial work in which Rodney argued that the early period of African contact with Europe, including the slave trade, sowed the seeds for continued African economic underdevelopment and had dramatically negative social and political consequences as well. He argued that, while the roots of Africa’s ailments rested with intentional underdevelopment and exploitation under European capitalist and colonial systems, the only way for true liberation to take place was for Africans to become cognizant of their own complicity in this exploitation and to take back the power they gave up to the exploiters. 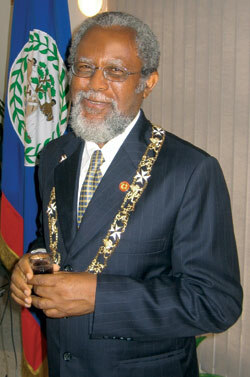 Rodney returned to Guyana and became involved in politics. He was killed in a bomb attack in 1979. Rupert Lewis, Walter Rodney's Intellectual and Political Thought (Barbados: Press University of the West Indies, 1998); Walter Rodney, Walter Rodney Speaks: The Making of an African Intellectual (Trenton, N.J.: African World Press, 1990); Anthony Bogues, Black Heretics, Black Prophets: Radical Political Intellectuals (New York: Routledge, 2003). Black Prophets: Radical Political Intellectuals (New York: Routledge, 2003).